In just a few days the video he shot in Monteón and Sayulita received more than 70 thousand “Likes” on Facebook. 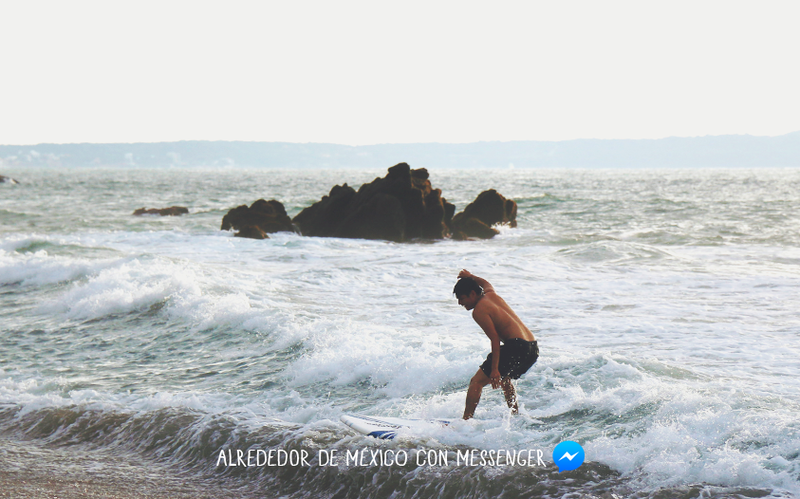 The recently activated Facebook campaign titled “Around Mexico with Messenger” consists of following a 19-year-old youth around the country and publishing videos and pictures of the places he’s visited—now including the Riviera Nayarit. Using the hashtag #chicoprovinciano, Cris Núñez is sparking social media sensation, receiving online recommendations on places to visit and things to do. During his visit to the Riviera Nayarit he stopped at Playa Canalán in Monteón, as well as Playa los Muertos and Patzcuaritos in Sayulita, where he learned how to surf. This campaign was launched in Mexico, thanks to the very active Facebook participation of its citizens, who on a daily basis number some 30 million users around the country. Cris was chosen after a long search for the ideal representative for the project, even though he had never left Guanajuato, where he’s been living since he was three years old. The trip began on January 28th and so far he’s visited San Miguel de Allende, El Oro de Hidalgo, Mexico City, Tulúm and the Riviera Nayarit.